This is from independent UK law firm Burges Salmon LLP considering issues that will shape the future of the headquarter office and which are identified in our research paper: 'The Future of Corporate Headquarters: Is London's Dominance Waning?'. You can follow the discussion on the future of the headquarter office by using #futurehq on Twitter. Yoga, pilates, French-speaking (basic), sewing bees…all pastimes safely confined to the local library on a Monday night, right? Umm no actually… wrong…they’re all activities happening right now in an office near you. 'Nose to the grindstone', 'lunch is for wimps'…now as outdated as Gordon Gekko’s striped braces – all over London and beyond employers are embracing the concept of employee wellbeing. And it makes good business sense to do so. Stress and mental health issues remain a constant as top causes of long-term employee absence and, as any HR professional will affirm, managing long-term sickness absence is one of the most expensive and disruptive employee issues to deal with. So it follows that an employer that takes positive steps to help reduce the pressures on its employees by improving both their mental and physical wellbeing stands to benefit. As employee engagement and productivity increases, so staff turnover will go down. A focus on employee wellbeing is also a powerful recruitment tool. With London housing costs forcing people into increasingly long commutes, the prospect of working for an employer that recognises and takes active steps to offset the negative effects of this, is highly attractive. A comfortable, well-designed working environment with the opportunity to participate in activities that the commute would otherwise rule out makes for a winning combination. Health and wellbeing is one anticipated change to the headquarter office over the next five years. If an employer fails to take heed it could find itself out in the cold. 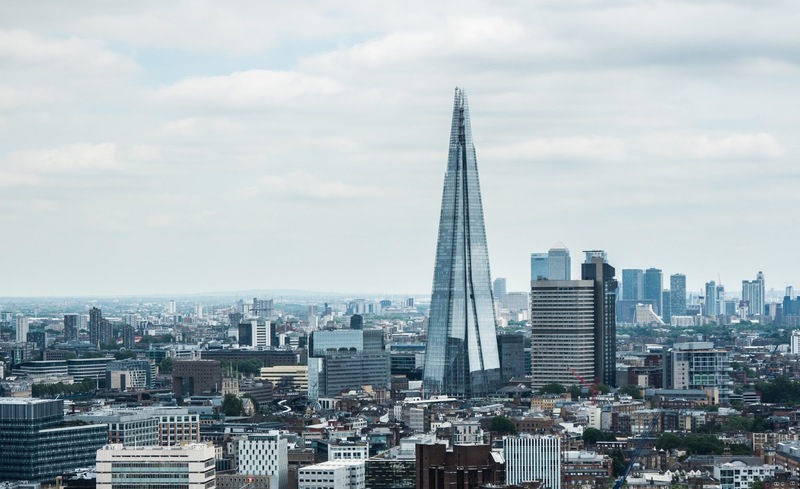 This is from independent UK law firm Burges Salmon LLP considering issues that will shape the future of the headquartered office and which are identified in our research paper: 'The Future of Corporate Headquarters: Is London's Dominance Waning?'. You can follow the discussion on the future of the headquarter office by using #futurehq on Twitter. People are demanding to work differently – the ‘9-5, job for life’ model is fast becoming outmoded and no more so than in London, where agile working, flexibility and portfolio careers are the buzz words ‘du jour’. So for employers keen to win in the war for talent, an enthusiasm for looking imaginatively at how and where their employees work is key. 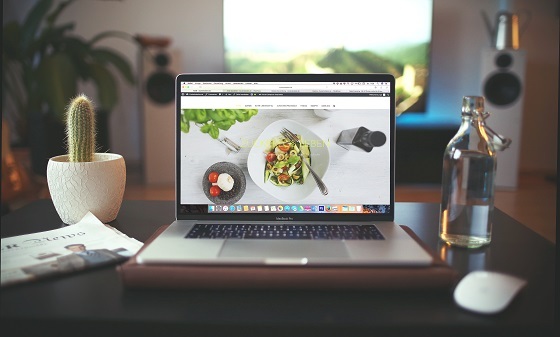 With housing costs making central London living out of reach for most, many employees are looking to work for employers who are willing to embrace regular home-working and have in place the technology to allow this. Cutting out the commute can be a win:win for all; offering opportunities for the employer to reduce/reallocate office space and, for the worker, the benefit of valuable time-savings. However, beware the bear trap that is ‘out of sight out of mind’. Employers’ responsibilities towards their employees don’t stop at the revolving doors in the HQ atrium and the contract of employment may need to be updated accordingly. For example, care needs to be taken to ensure that the home environment offers a safe place of work for the employee and Working Time obligations and data protection requirements must continue to be met. Equally the employer will want to ensure that acceptable confidentiality standards can be maintained and that expectations as to required levels of productivity are clearly understood by the worker. However, with employees increasingly welcoming the opportunity to work from home on a regular basis, employers who are able to offer this should reap the rewards from this competitive advantage. 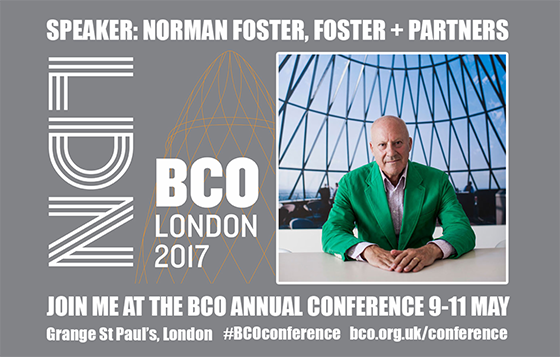 The BCO are delighted to announce Lord Norman Foster will be speaking at the BCO Annual Conference. Lord Foster is founder and chairman of Foster + Partners, a global studio for architecture, design and engineering. Over the past five decades the practice has pioneered a sustainable approach to architecture and ecology through a wide range of work, from urban masterplans to offices, cultural buildings, airports and industrial design. He has been awarded architecture’s highest accolades, including the Pritzker Architecture Prize, the Praemium Imperiale Award for Architecture in Japan, the RIBA Royal Gold medal and the AIA Gold medal. In 1999 he was honoured with a Life Peerage, becoming Lord Foster of Thames Bank. Book your place at the BCO Annual Conference for the opportunity to attend Lord Foster's keynote address and for more details on the BCO Annual Conference programme visit bco.org.uk/conference.